Conductor Daniel Barenboim was presented with the Bruckner Society of America's Julio Kilenyi Medal of Honor at a post-concert member reception at Carnegie Hall on Saturday, January 21st, 2017. The Society awarded the Kilenyi Medal to Maestro Barenboim in recognition of his outstanding accomplishments as a Bruckner conductor. He has led three complete recorded cycles of the symphonies (with the Chicago Symphony Orchestra in the 1970s, the Berlin Philharmonic in the 1990s, and most recently with the Staatskapelle Berlin). 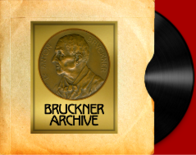 This is a remarkable achievement, especially since all of these recordings preserve performances of exceptional musical character that bring Bruckner’s scores to life with intensity, drama and musicality. The medal was presented immediately following a performance of the Bruckner Symphony No. 3. The performance was part of an historic cycle of the nine numbered symphonies being presented by Daniel Barenboim and the Staatskapelle Berlin in just eleven days. It marked the first time that an entire Bruckner Symphony cycle was presented in the United States in a single season. The medal of honor was presented to Maestro Barenboim by Society President, Benjamin Korstvedt and Executive Secretary, John Berky. 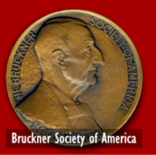 The Bruckner Society of America’s Medal of Honor was created by the Hungarian sculptor, Julio Kilenyi in 1931. Over the course of the Society’s 86-year history, it has been awarded to numerous distinguished recipients including Arturo Toscanini, Otto Klemperer, Paul Hindemith, Serge Koussevitzky, Josef Krips and Eugen Jochum. 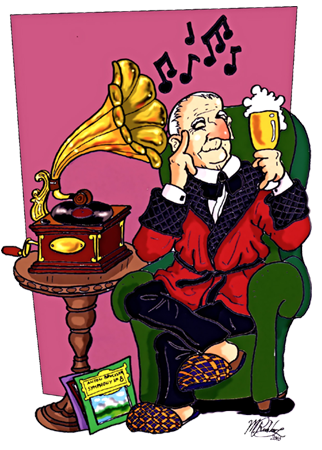 Recent recipients have included Herbert Blomstedt, Kurt Masur and Stanislaw Skrowaczewski.